Celebrity chef from Monaco, Alain Ducasse claims, “Everything that pushes up out of the earth I love. Everything under the earth, root vegetables, I love to cook.” A lot of us would agree with Ducasse on this opinion, since we all love ginger, garlic, radish, parsnips, beets and yam. They are favorites with chefs and home cooks alike, since they pack in loads of nutrients that they absorb from under the ground. Admit it, they often look straight out of an alien movie, but if you look beyond their exterior, you have no choice but to fall in love with them. They have varied flavors, and are laden with antioxidants, vitamins and minerals like iron. Root vegetables usually grow throughout the year, though there are some rarer ones that are harvested only in certain seasons. One such rare root vegetable that most of us have never heard of is the salsify. Salsify has lost its charm in today’s world, though it was a popular vegetable during the 17th and 18th centuries, primarily owing to its taste. However, it still remains as tasty as ever, and is still a prized root vegetable for some of the best chefs across the world. If you walk into a market that sells primarily root vegetables, and you are eager to try out the salsify, you might be faced with a great dilemma. Salsify can be of two kinds, both looking distinct from one another. While white salsify is pale colored, the blacker variety is indeed quite black in hue. White salsify (Tragopogon porrifolius) was first grown in France and Italy, gaining popularity in North America almost two centuries later as the ‘oyster plant’. The nickname could be attributed to the aftertaste this root vegetable leaves in your mouth. Though the flavor is a blend of artichoke and celery, salsify also tastes a lot like seafood. In fact during the 16th century, salsify was a rage since it satisfied people’s craving for oysters, the latter being often expensive and not so readily available. However, the resemblance to the popular mollusc is not the only virtue this root vegetable has. The leaves were also a delicacy, owing to their succulence and tenderness. Black salsify (Scorzonera hispanica) on the other hand originated in Spain around 17th century, and was consumed widely in Asia and Europe. Both these varieties of salsify are related to leafy vegetables like artichokes and lettuce. Salsify is a seasonal vegetable that is more common in autumn and winter. 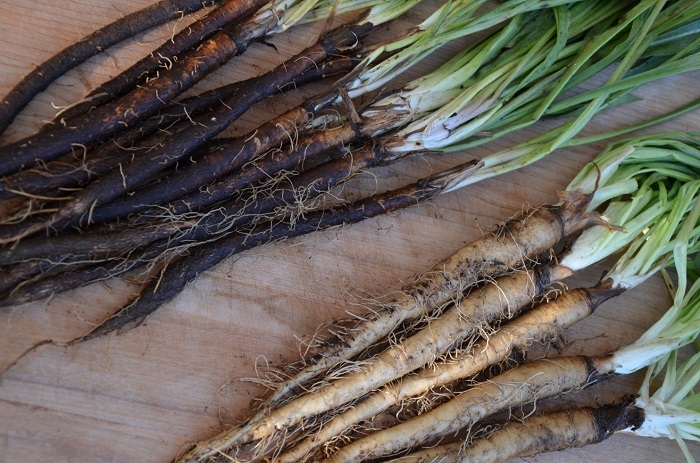 While the whiter variety is more like a parsnip, with a thicker body, the black salsify is slimmer and more delicious. When buying in bulk and storing, it is important to ensure that these beautiful roots are in no way broken since they have a chance of rotting faster. Also look for those roots that have not gone soft and mushy. This will ensure they have more chance to survive a longer time period. Though present in negligible amounts, the salsify does provide us with certain vitamins, as well as minerals like manganese, iron, calcium and potassium. Since salsify tends to oxidize at a quick pace once it is cut, it is a good idea to dip it in lemon water concoction to prevent blacking. The color might transfer onto your hands, so wearing gloves while preparing this root vegetable is advised. They live longer in humid conditions, so storing those at a temperature of 32 degrees Fahrenheit can keep them looking fresh for more than a month. This rare root vegetable tastes good in its raw form, when you choose the younger ones and grate them to use in a salad. However, the more popular way of cooking it would be to steam, fry or boil it. 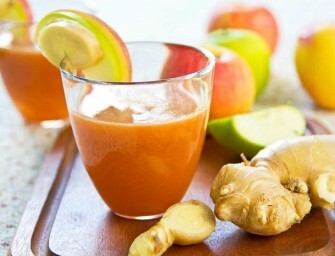 It is delicious even when pureed to make a soup. 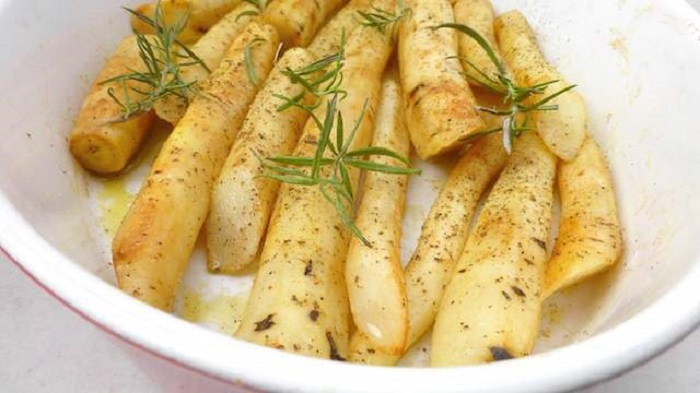 To add more flavor to it, you can season the salsify with the usual garlic and herbs. 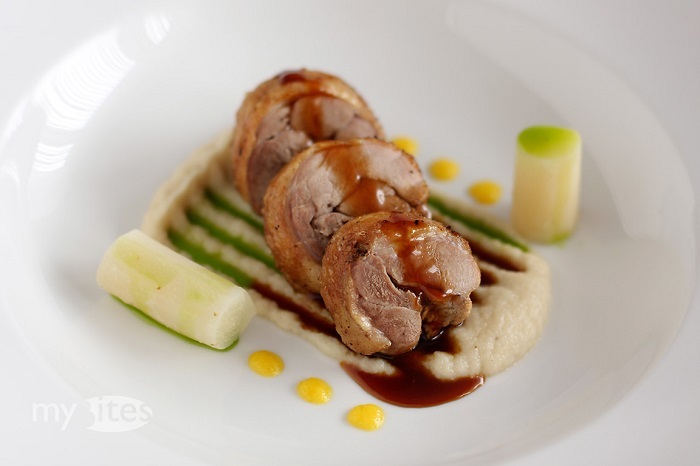 What makes it even better is the fact that it serves as a perfect accompaniment to meat dishes. 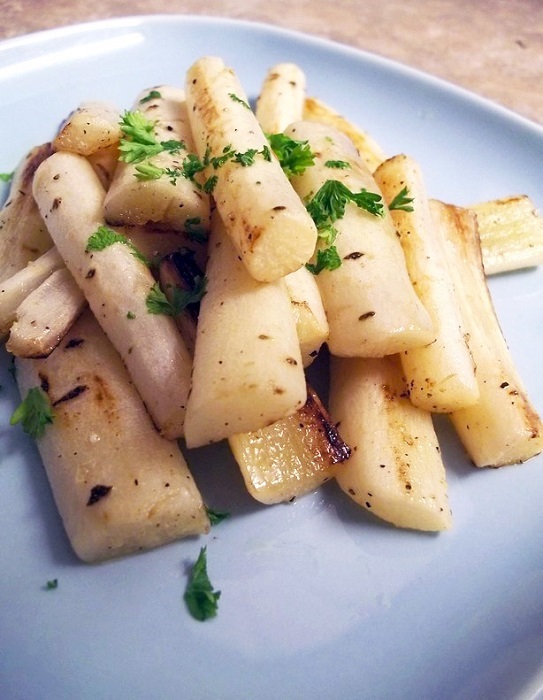 Here are a few simple dishes made of salsify, which you could try whipping up next time for your family. Though the duck is the hero of this dish, salsify when baked adds a fresh element to the palate, making it an unavoidable ingredient in this particular recipe. When the “oyster plant” is softened and caramelized in butter, it emits an irresistible fragrance. 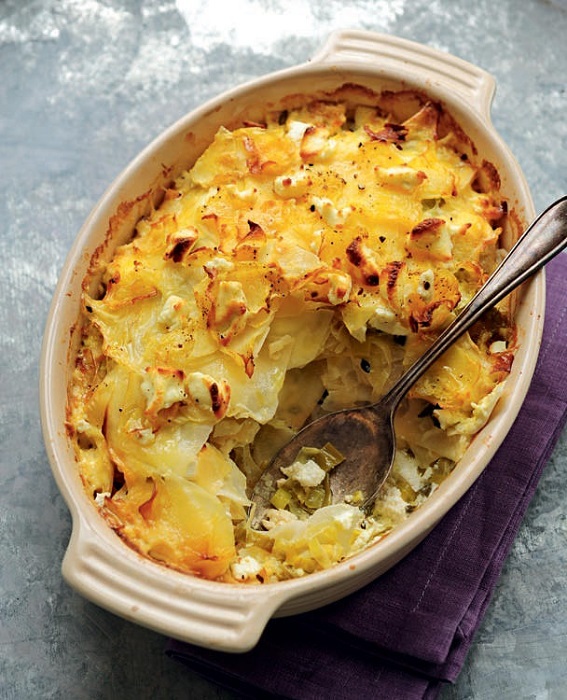 Use your choice of cheese as well as other vegetables to create a delectable white sauce and in the end a creamy gratin. 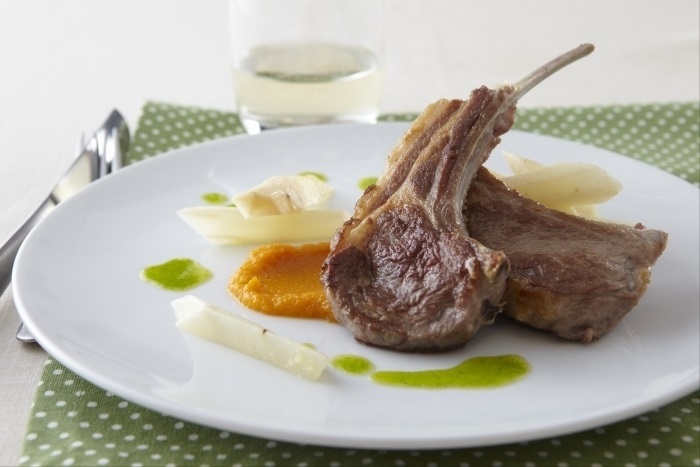 Both uncommon root vegetables turn into this mouthwatering dish, with each one being prepared using different techniques. Crushed celeriac adds creaminess to the dish while salsify is roasted to perfection so that it retains its crunchy texture. Whether you use a combination of carrot and cumin, or crunchy walnuts with anchovy butter, grilled or pan-seared lamb steaks are well-complemented by salsify. The root vegetable can either be pureed to a creamy consistency, or can add a crunch element by roasting. Salsify tastes great when roasted, wither in the oven or in a pan. However, pan-roasted salsify always clinches the deal in comparison to the oven-cooked variant. To enhance the flavors emitted by this vegetable, it is best to cook it in butter, and add a dash of lime to it. Though not quite attractive at first sight, the beauty of salsify is unearthed once you have peeled it to reveal its ivory white core. It’s soft and juicy; both qualities that are essential to make the perfect soup. 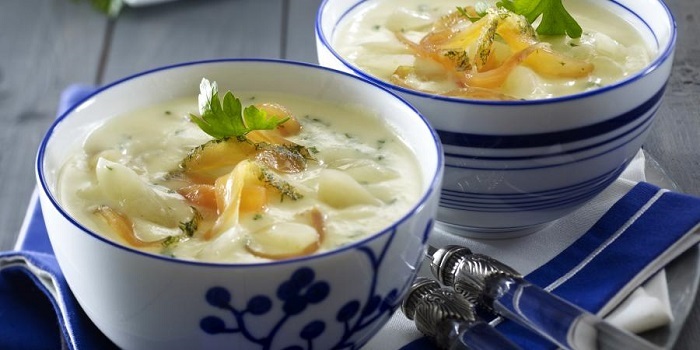 The fact that its fragrance is that of seafood, lends a bisque-like flavor to the soup. 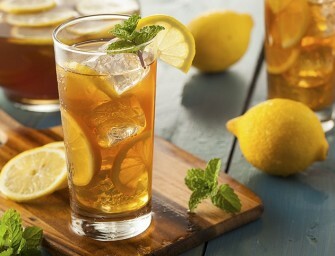 Make it the way you wish, and be rest assured that you will not go wrong with this. 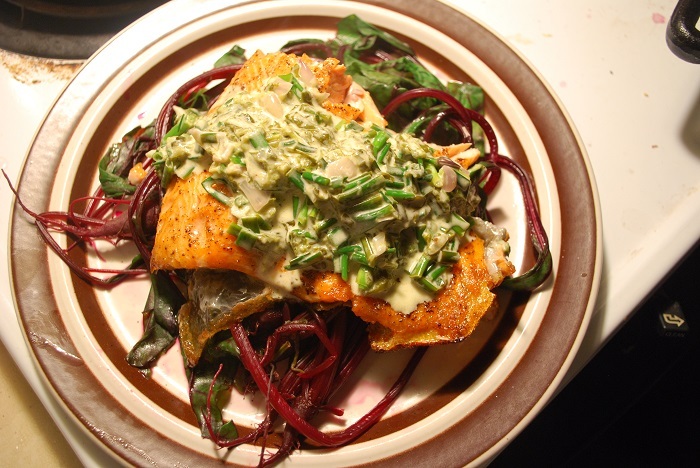 This is a take on a French classic that uses sorrel sauce and salmon. The salmon is replaced by steelhead, which is a fresher option than frozen fish. The beautifully mashed salsify adds on to its seafood flavor, making the dish absolutely memorable. 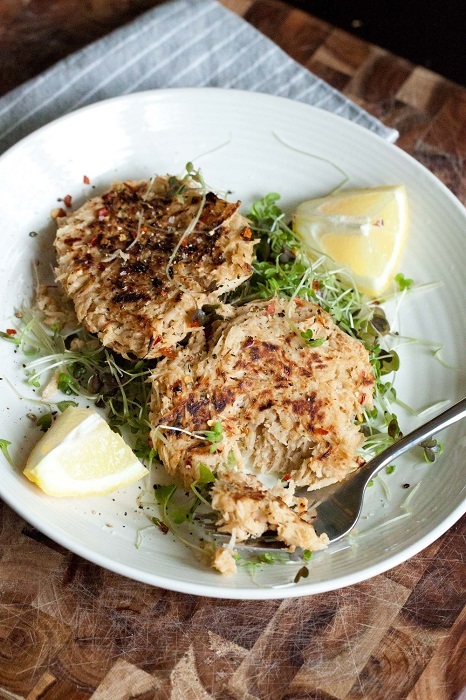 Last, but not the least, salsify fritters are probably the most popular way to cook this root. Tasting better than parsnip, salsify fritters will start your ever-lasting love relationship with this unassuming vegetable. To get the best results, use black salsify that taste amazingly good. Now that you’ve got some help with cooking this rare root vegetable, go ahead and have fun experimenting with salsify.